New Moon and a Solar Eclipse in Scorpio! 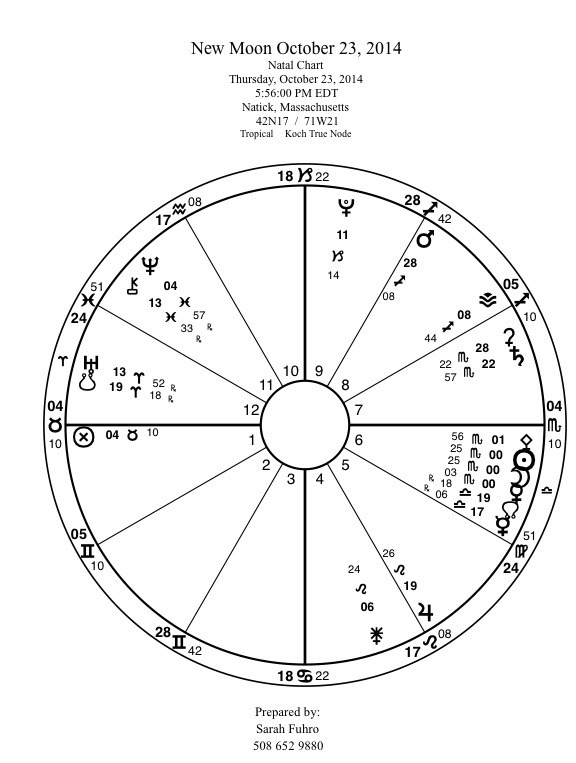 New Moon, New Sun Sign, old Solar Eclipse! If you live in the Eastern coast of North America you can watch the a bit of the solar eclipse as the Sun sets Thursday evening. The morning of October 23rd will mark the departure of the Sun from Libra and entry into the sign of Scorpio. Venus rules Libra, Mars drives Scorpio, an opportunity to feel both male and female energies as they switch places. Astrology offers a daily remedy for whatever has become too heavy in our lives. In the spring this transition happens in reverse as the Sun moves from Aries (Mars) to Taurus (Venus). 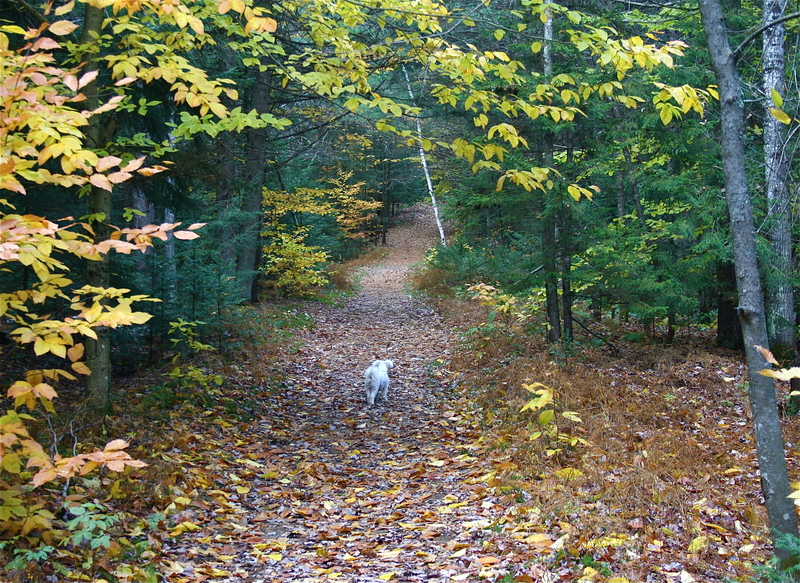 The balance and integration of male and female is a gift we receive twice each year, spring and fall. With a new Moon cycle and a solar eclipse on this date, we might want to bask in awareness of how we divide the world into female and male, dark and light, old and new, good and bad. A few go-rounds with Venus and Mars, and soon we don’t know the difference between these polarities! This will be a day of new beginnings, and look, Venus is right there at 0° of Scorpio, with Pallas Athena, who snuggles into the mix only a degree away! A crowd, including visits Scorpio on this occasion. Venus and Pallas Athena are powerful leaders of the women’s movement. 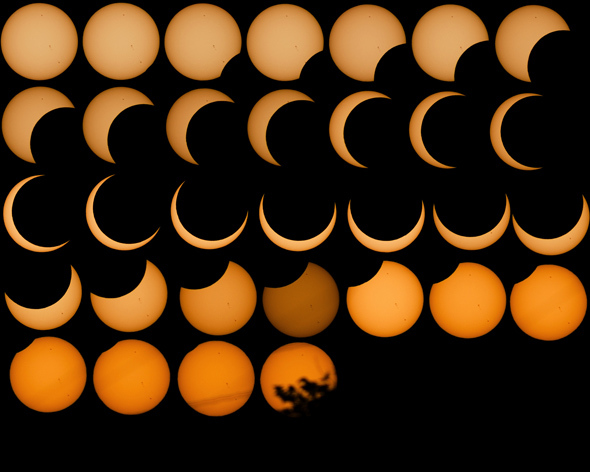 It will be interesting to notice what happens with this eclipse in the next few months. What will we begin today in the Sun’s darkness, cast by the Moon’s shadow? Just as the new Moon went through a period of darkness, and just as the Sun hides his face in a solar eclipse on this special day, we might also want to go into a place of solitude, retreat, silence, before we launch into a new Moon cycle and a new Sun sign. 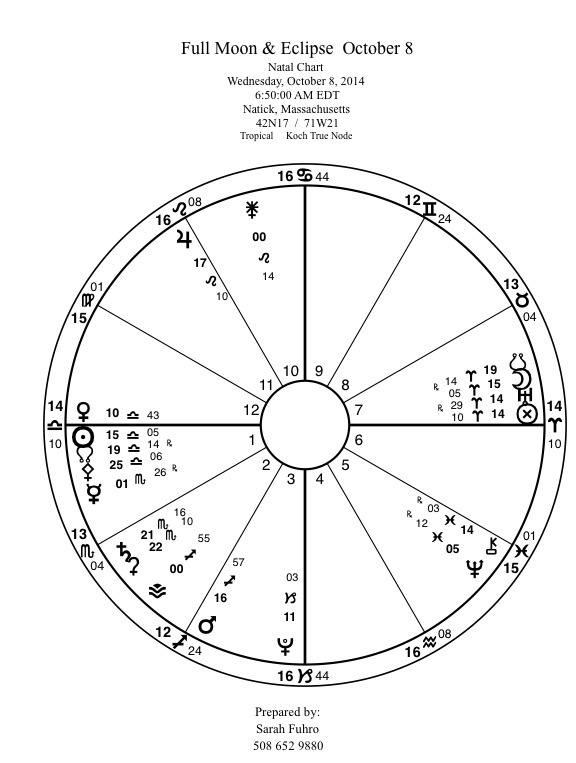 Look and see where this event takes place in your chart. For me it all dances on my natal Venus, who resides at 0° Scorpio in my third house of communication. 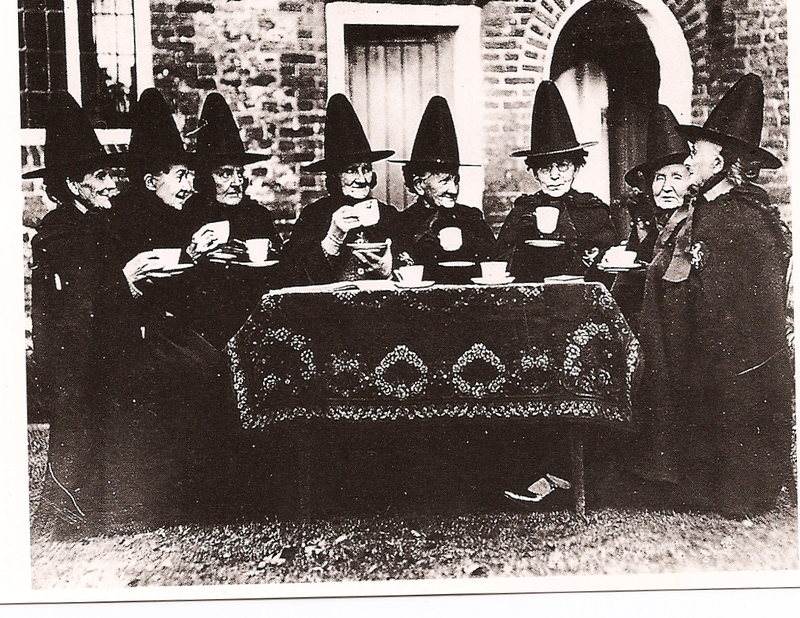 Maybe I will attend a convivial witches’ tea……. Scorpio’s theme is sorting through what needs to stay and what needs to go for new growth to occur. We often forget the time necessary to ‘recover’ from loss before we can move on to the next phase of our life. Traditional ceremonies around death acknowledge this dark period, when we can’t see what is next and offer us rest and ‘nothingness’ in a variety of mourning rituals. Just as the Moon is not visible for several days after her ‘newness,’ and like the dark season, which Scorpion ushers in at the Northern Hemisphere, our lives must have time to compost in non verbal seasons, cycles and dormant periods. 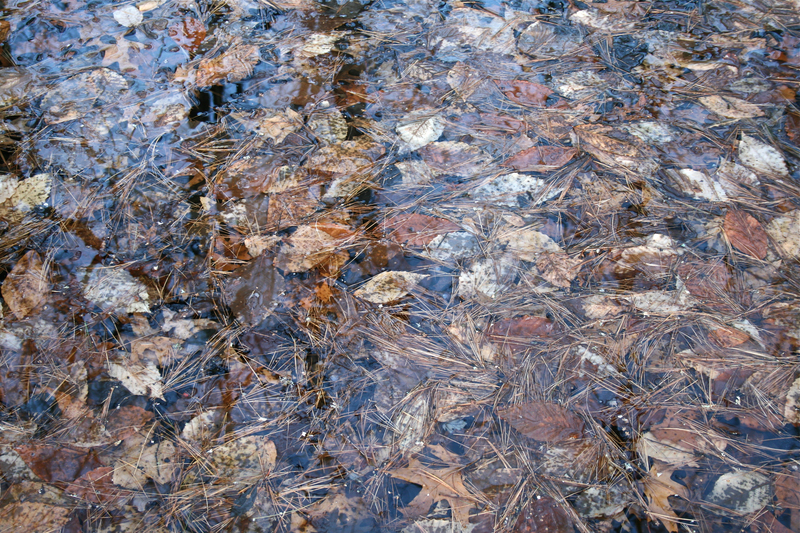 The airy leaves fall to the earth where they mix with earth and water to enrich the soil where next year’s seeds will sprout up in fiery abandon. into the bag we carry. who sings till our heart breaks. The Wisdom Tradition evolved over the centuries to address our deepest human needs. Sarah Fuhro is a practitioner of its many forms; including Astrology, Tarot, Flower Essences and Druidry. In addition to personal consultations, Sarah teaches workshops and private classes, offering both clients and students knowledge powerfully rooted in the past, presented in the language of the present. To find about consultations and classes, you can contact Sarah at https://www.facebook.com/pages/Sarah-Fuhro-Star-Flower-Alchemy-Astrology-Flower-Essences-and-Tarot/71299491502?ref=bookmarks or sarahbeagl@aol.com. ‘Nature Spirits are seen at work in the light of sunset: attunement to the potency of invisible forces of nature’ the Sabian Symbol for the full Moon is Aries. 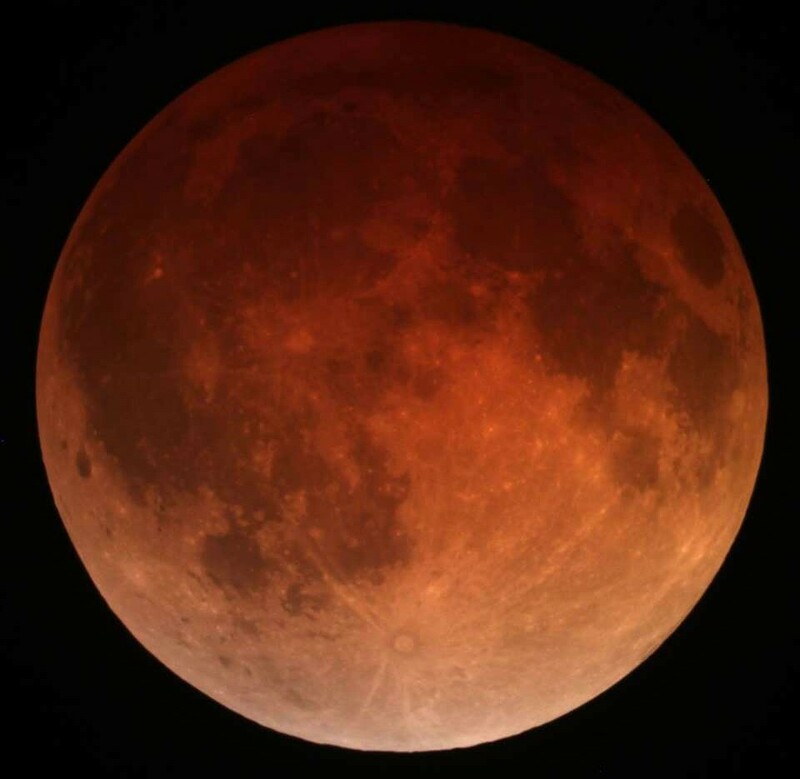 Get up early, and you can watch the total eclipse of the Moon on Wednesday, October 8. For those of us in Eastern United States the eclipse will be begin at 4:17 am. The Moon will be in total eclipse at 6:27 pm. The Moon will be full at 6:50 am. This means we need to find a place to watch her, still in eclipse, set in the West as the Sun rises! We have a full Moon chart of polarities! The Sun is in Venus’s sign of Libra, the Moon is in Mars’ sign of Aries. Each has a stellium of planets and other astrological points to keep them company in what could be a tug of war, or a message of unity! 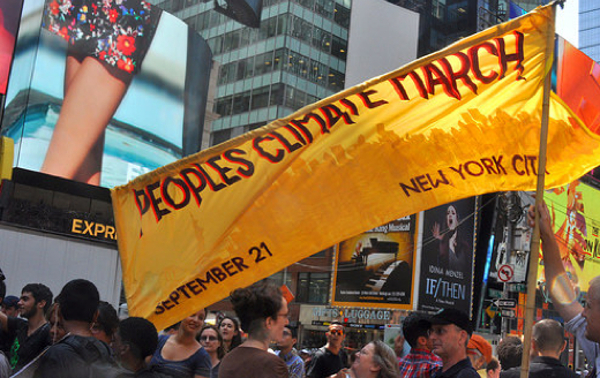 Have you ever marched in a parade or demonstration holding one pole of a banner while someone on the other side of the street holds the other pole? If so, you know it takes some conscious coordination to keep the message ‘straight on’ and visible. If you start to talk to the person next to you, or slow down or speed up without the cooperation of that other pole carrier, your banner begins to waver and disappear. This feels like that kind of chart. Mars and Venus are often pitted against each other astrologically, yet as gods, they were lovers. And doesn’t it take courage (Mars/Aries) to love (Venus/Libra)? At the moment of the full Moon, Venus in Libra will be in close proximity to the Libra Sun. Moon in Aries is extremely close to Uranus (explosive energy). Meanwhile Mars in Sagittarius is in a sextile relationship to the Sun and Venus, and in trine to Moon and Uranus. We hear the drumbeat of war (Mars the warrior), but do we also hear the voice of reconciliation Venus in Libra)? The South Node of the Moon is in Aries. South Node is the area we have developed fully. North Node of the Moon is in Libra, this is the more difficult direction, which requires effort and change. We can use the energy of the South Node, in this case Aries, to push ourselves toward the opposite impulse, Libra. There is another theme here, which suggests a challenge of the times. This is a square between Pluto and Venus. She is in Libra filled with love and harmony, he in Capricorn demanding structure and accountability. If we love, we have to manifest what we care about, but if we are all business, and have no time to feel and express our emotion, we may lose the dance. Pluto in Capricorn could be the crushing death of Venus in Libra, unless, the two can work together to create structures to hold the expression of love. When we look at a new or full Moon chart, we are in all in this together. The chart of a moment may have more or less impact on our personal lives, but the implication is: this holds true for everyone on earth. We have the opportunity twice each lunar cycle, to ponder the place we as individuals hold in the universal. When I get into a rant about what I see as injustice or cruelty or stupidity in the world, I need to remember this quote from Lao Tzu. 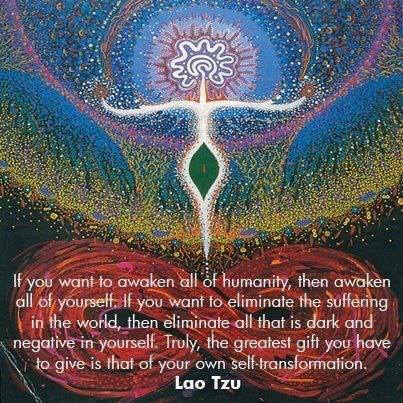 It seems to me that we come to this lovely planet to transform into what we want to see in humanity. 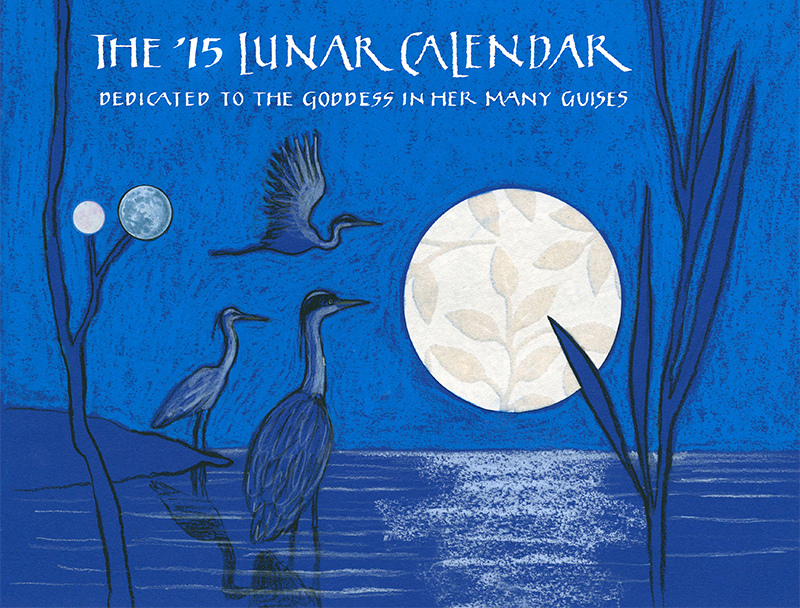 The 2015 Lunar Calendar is available NOW!